Ashbrooke Homes for Sale | Pewee Valley, Kentucky | Ashbrooke Real Estate | Louisville MLS | Joe Hayden Realtor - Your Real Estate Expert! View all Ashbrooke Homes for Sale on the Louisville MLS listings below. Ashbrooke real estate is located off of Ash Avenue and LaGrange Road in Oldham County in Pewee Valley, Kentucky. The subdivision of Ashbrooke was developed approximately 35 years ago as an affordable subdivision in a great location giving home buyers wanting to live in Oldham County additional options. Homes in Ashbrooke come in a variety of styles from traditional two-story to ranch to cape cod, each offering home buyers the opportunity to choose which style best fits their needs. The subdivision features older, established homes, plus you can find new construction as well in the neighborhood. This also adds to the variety found in the subdivision and helps to make it a great place to call home! 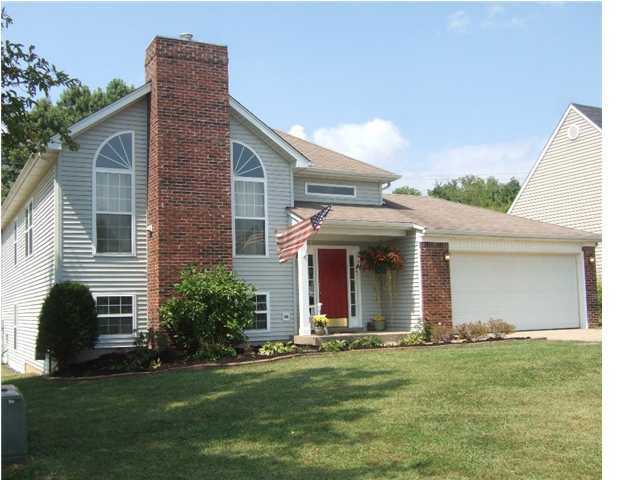 Learn more about Ashbrooke homes for sale by browsing the Louisville MLS listings. To see all area homes for sale, click Louisville MLS Listings. To view homes in Ashbrooke, contact the Joe Hayden Real Estate Team - Your Real Estate Experts! Homes for sale in Ashbrooke range in price from $115,000 to over $235,000. Most Ashbrooke homes feature at least a two-car garage and a basement, though not all of the homes will have finished basement space. The interior designs and stylings of the homes will vary greatly depending on the age of the home. For example, in the older homes in the subdivision, you will find that the home is more segmented into rooms with less open spaces. In the homes that are newer construction in the subdivision, you will find that they will typically have a more open floor plan, and are better designed for entertaining and active lifestyles. Whichever you choice, a home in Ashbrooke can be the perfect place for you if you are in the market to buy a home. Living in Ashbrooke has many benefits for both residents and home buyers alike. With an excellent Oldham County location, you are just minutes from the Gene Snyder Freeway, Westport Road, and LaGrange Road, giving you quick access to the region. In addition, Crestwood is just down the street and there you will find drug stores, fast food restaurants, grocery shopping, plus additional amenities such as a dentist, minor medical facilities, and public parks. Ashbrooke is located in the award-winning Oldham County School District, which adds value to the neighborhood, draws home buyers to the area, and is a great benefit for residents of the subdivision. If you are looking for a quality home that is affordable and in a fantastic location, you should consider the Ashbrooke subdivision. You can search all of the Louisville MLS listings below to find your own Home for Sale in Ashbrooke.